Costa Coffee, has set up shop in Kochi. After Chennai and Bangalore in South India, Costa Coffee, one of the largest retail coffee chains in the world, has set up shop in Kochi. The British Deputy High Commissioner in Chennai, Bharat Joshi, opened the Kochi outlet at Lulu Mall. 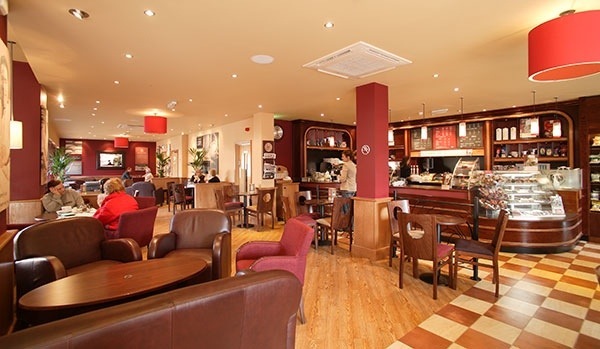 Santosh Unni, CEO, Costa Coffee-India, said the outlet would serve 25 varieties of coffee and flavoured drinks. Posted on January 29, 2014, in #india, #retail. Bookmark the permalink. 1 Comment. If some one desires to be updated with latest technologies then he must be pay a visit this web page and be up to date daily.